Nothing pleased me more than when the USB memory stick finally killed off the floppy disk for good. Here was a reliable device that you could fit in your pocket and connect to any computer to read and edit your gigabytes of data. Then, we all went and bought iPads or other mobile devices and there was no where to stick the USB drive anymore. Furthermore, without an internet connection, moving data between these devices can still test the patience today. However, if you’ve avoided the Apple path and gone down the Android route, there is still a chance that your device can access files from USB sticks. Simply Google your model and search ‘OTG support’ to see if this feature is present (or ask me in the comments and I’ll look for you). OTG is short for ‘on the go’ and support for it means that your device can act as a host for USB devices, such as memory sticks. This means it can work with them. 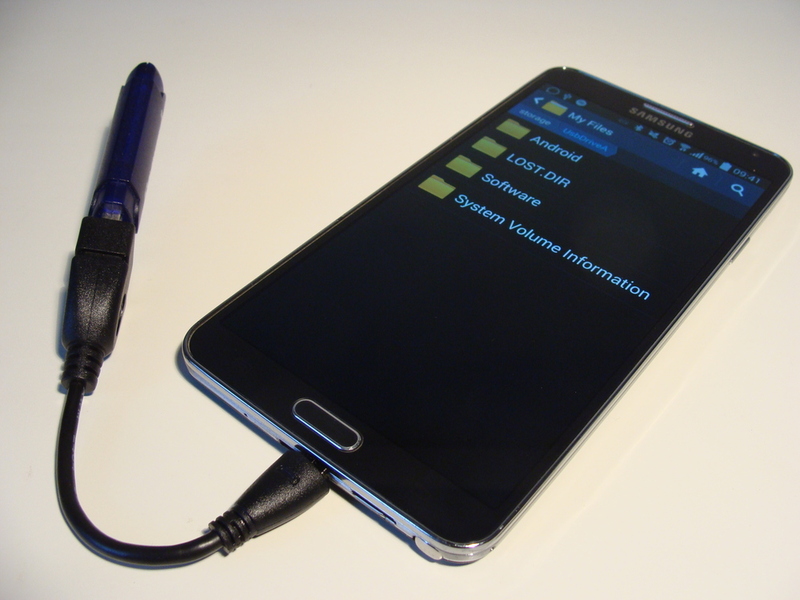 I’ve been using an OTG cable to copy large amounts of files to my phone now and again and it works very well (especially as it will connect a Playstation controller for some gaming when I’m done with working). This is fine, but it’s not a very elegant solution for a regular usb stick user, who is used to plugging the same stick into different computers without any hassle. Well in that case, you probably want a USB stick that can connect directly to your computer AND your mobile! The DataTraveler microDuo is a tiny double-headed USB stick with 16GB, 32GB or 64GB of storage onboard. On one end is a standard full sized USB connector (for connecting to your computer or laptop) and then a simple twist-and-pull exposes the micro-usb connector which is more typical for smartphones and tablets. 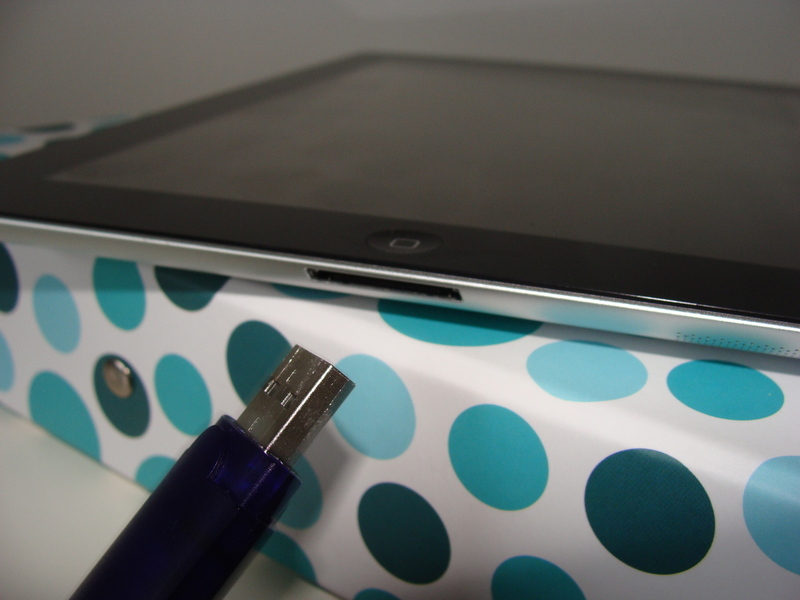 A simple pull exposes the micro-usb connector typically found on tablets and smartphones. Connect to your PC like you would with any memory stick and copy and edit files. Need to access the files on the move? Now you can! I have the 32GB version here and the OTG support means that as soon as it’s connected to my Samsung Note 3, it’s recognised and the file manager app is opened ready for me to locate my files. If your Android device doesn’t include a file manager, they are easily downloaded from Google Play and allow you to copy files to and from the stick and also edit them, or play back media files. Now you can work on your files from computers as you're used to and then plug the same stick into your tablet or smartphone and continue on the move. It’s also an incredibly convenient way to increase your storage when you have an occasional need to do so, for example, taking an extra 64GB of movies and music with you when you travel. The DataTraveler microDuo 3.0 is widely available and priced very reasonably, with even the 64GB version only costing around £20 online it’s well worth a small premium if you do have Android gadgets, but do check first that OTG is supported.